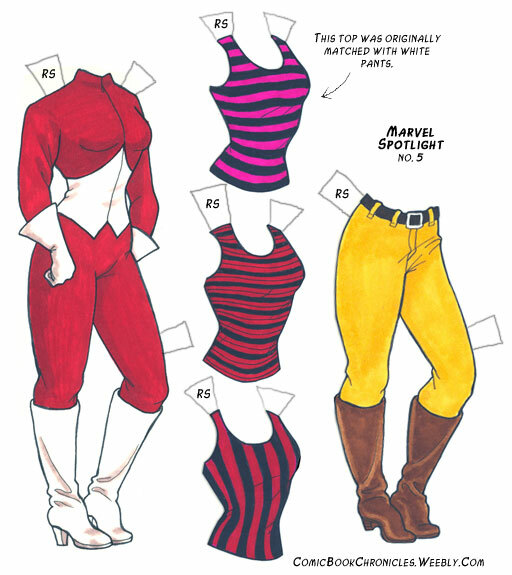 When we next see Roxanne Simpson on p. 10, she's wearing the first of a handful of stunt riding costumes. These are all ostensibly leather, but in the comic book world even leather clings like spandex. Then Roxanne wears a series of tank tops (and yes, I felt compelled to draw all of them). The impression we have here is that all of this takes place either in New York (where the scene opens, with the Crash Simpson Cycle Show playing at Madison Square Garden) or at least somewhere on the east coast. So it's amusing later on that when they relocate to California Roxanne suddenly wears nothing but long sleeves. Maybe it's an effort to temper the fact that they all look kinda vaguely like trailer trash in these initial issues. 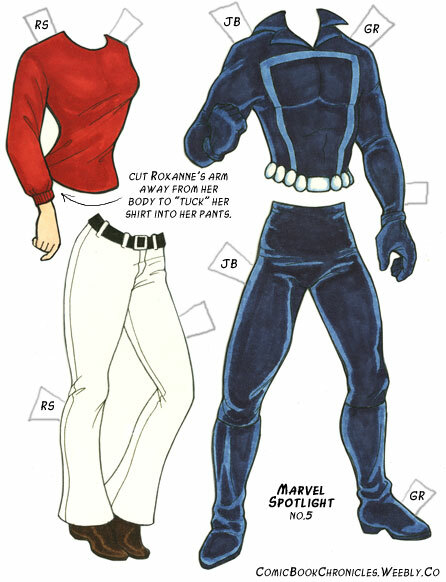 Regardless, the most amusing thing about Roxanne's clothing throughout these early issues is how difficult it appears to have been to maintain any sense of continuity with it. The magenta-colored tank with vertical stripes is paired with white pants (previously presented), but the two red tanks are paired with the yellow pants, both within the same scene! On page 12, the stripes are vertical, but when we turn the page, the stripes are suddenly multi-widthed and horizontal. Roxanne will continue to have this bizarre propensity for changing her clothes mid-scene throughout her tenure on the series. Oftentimes it happens between issues when a new artist comes on and doesn't seem to pay attention to the details of what the previous artist had drawn, but occasionally, like here, it's morphing from panel to panel! Maybe she secretly sold her soul to the devil wanting to be a fashionista.